On my last ocean passage sailing from the Northeast U.S. to the Caribbean we encountered several days of squalls; one after the other. You can track them on radar and know when they are going to hit. We only encountered winds in the 30-35 knot range. In some squalls, winds can get up to 50-60 knots very quickly. As the old saying goes, “When the wind is up, shorten down”. That means, reduce the amount of sail you have before a storm hits because it’s harder to reduce sail area once the wind pressure is up. 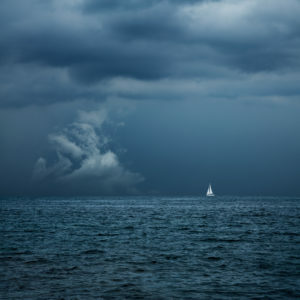 That makes the ride more comfortable in a storm, it lessens the stress on the crew and the boat, and it helps to prevent rig failures or torn sails. Once it’s over we let the sails back out and sail fast until the next squall hits. The economy has seen smooth sailing for the past few years. Good economic growth, low unemployment, and low-interest rates. Operational and financial complacency often sets in with management teams during good times as there is less of an urgency to run lean and efficient operations. However, recently the Federal Reserve Board has been concerned about the economy. With such a long-running period of growth, their concern is for inflation creeping up causing rising prices and reduced consumer purchasing power. The Fed’s traditional reaction to inflation is to slow the economy by increasing short-term interbank interest rates. They have begun doing that. The danger is the economy could slow too much and go into a recession. That would result in consumer and business buyers pulling back on spending. Companies need to anticipate a drop in revenue and reduce costs and expenses before that happens. 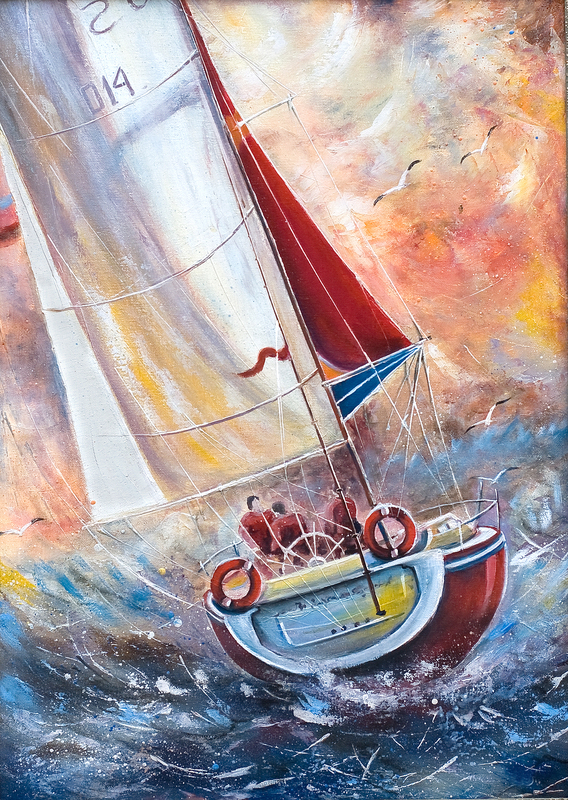 “When the wind is up, shorten down” applies to the business world just as it does to a small sailboat in the ocean in a storm. Remember, the time to reduce sails is not when the wind pressure is already up, but well before. We have done many cost reduction studies to help healthy and troubled companies reduce costs and expenses. We understand the need to maintain spending to continue strategic focus and momentum while alternatively looking to streamline organizations and processes and reduce costs and expenses. However, costs and expenses need to be balanced with falling revenues otherwise the result is usually unsustainable cash flow deficits. Feel free to call us to discuss how we could help your company prepare for the next storm before the wind is up. 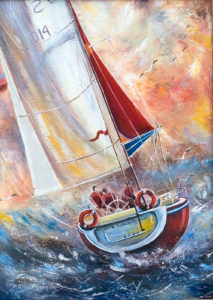 Because you can never shorten sails too soon when approaching the next storm. 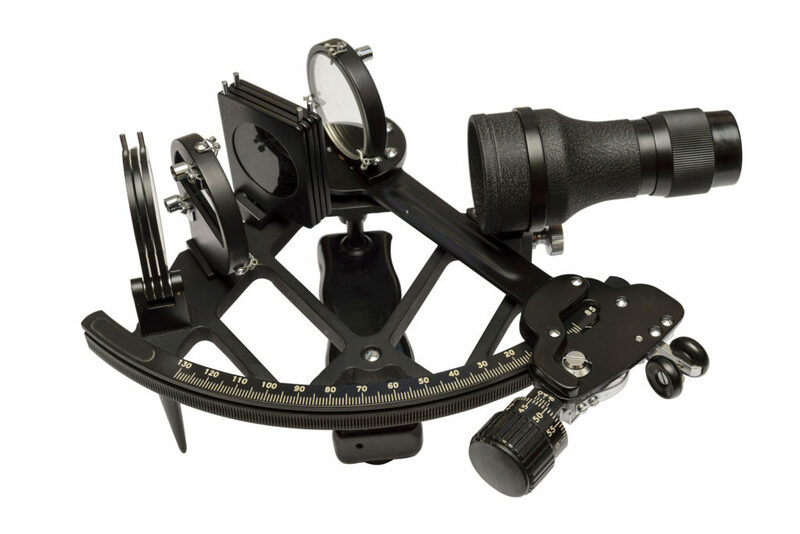 I recently a two-day workshop on Celestial Navigation. Almost everyone has seen a picture of a sailor using a sextant to read the angle of the sun to the horizon. What is not so apparent is the complex process for converting or reducing that to a latitude and longitude position in the ocean. There are some tables in the Nautical Almanac that provide data used in mathematical computations to “reduce” that angle to a position. To teach Celestial Navigation, our instructor had prepared a brief handout with tables and a step by step procedure for looking up the applicable data and computing a vessel’s position. For me, it made a mysterious process simple, easy to follow and repeatable. In our consulting practice we’ve been involved for many years assisting our clients with process improvement projects where our work product is a new procedure document to guide personnel through complex processes; e.g., Accounting, Purchasing, HR, Payroll, Asset Management, etc. By documenting these processes, we identify and rectify inefficiencies, and we also produce a training document to guide employees through the revised processes. By documenting complex processes, we also eliminate the fear that certain key employees are indispensable because only they know how to do complex and mission-critical operations. Over the years we’ve developed an efficient means of documenting processes in both a flowchart and narrative format. That includes templates that we use to kickstart process review and documentation projects. Keep us in mind if your company needs its processes improved and documented. We can get the ball rolling quickly. Meanwhile, we hope you have smooth seas and clear skies for your noon sights. I captain our sailboat between the Caribbean and the Northeast U.S. each year with stops in Bermuda. 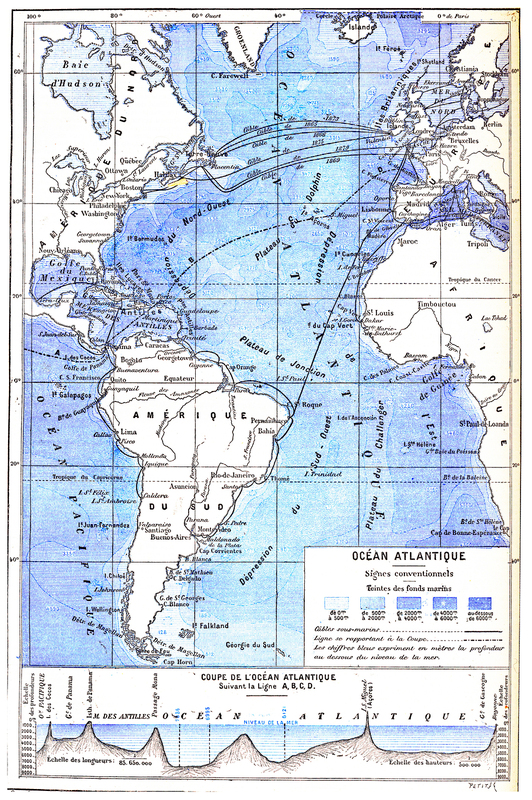 These are around 1,700-mile open-ocean passages. Before departing on any leg, I carefully check the pre-departure weather forecast, and we wait for good weather windows if necessary. Nevertheless, there are always unforecast squalls out there. Or, we might encounter fast-moving storms or low-pressure systems that out-pace the forecasts which are only accurate for about three days out. If we face bad weather closing in, it is important to know how to prepare the boat and crew. With some early warning, we can make preparations to avoid or minimize damage and discomfort. For example, we might stow loose gear, prepare hot meals ahead of time, shorten the sails, prepare to don our foul weather gear, break out the seasickness meds, etc. We might have some discomfort, but at least we’ll ride it out as best we can. Then we move on and enjoy our passage once the bad weather passes. There will also be a need for more rigorous Cash Controls and the availability of Lines of Credit that may be necessary to see the Company through peaks and valleys of cash collections when key customers are also struggling to make payments. 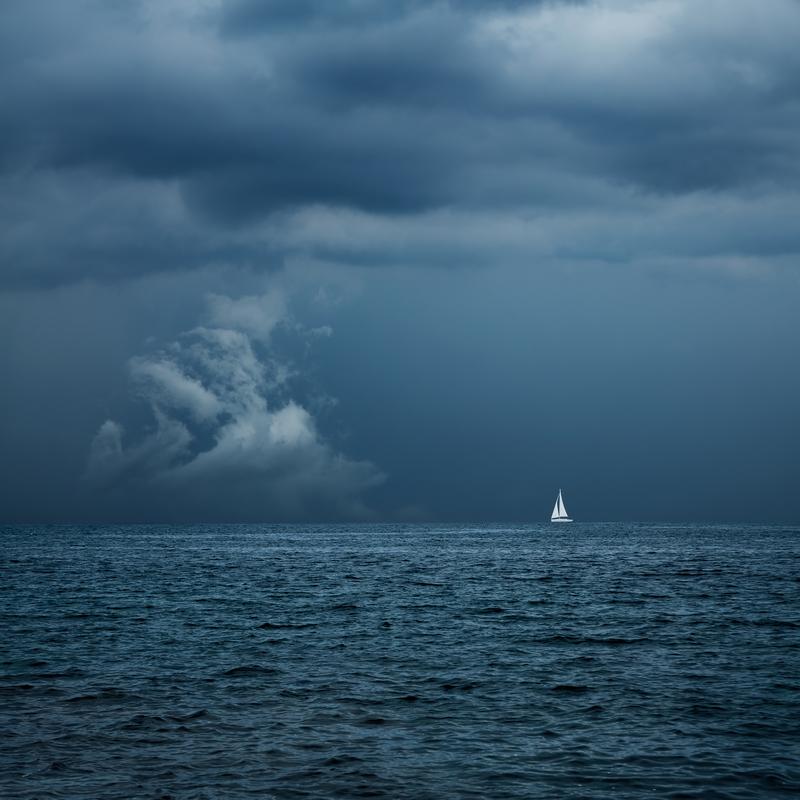 Is your company prepared or preparing now for the next storm? Does it have the necessary reporting tools in place to provide an early warning of a downturn? Is it pairing back its costs and expenses now to reserve its financial resources to see it through the next recession? Is it putting in place cash controls and lines of credit it will need? Contact us if you need help preparing your Company for the next recession. We can help with process improvement and cost reduction projects or improving controls to manage cash better. Better now, than before the wind kicks up. Meanwhile, wishing you fair winds and following seas – for as long as that lasts. I recently completed my 11th ocean passage as Captain aboard our sailboat from St. Lucia to Connecticut via Bermuda. On the second leg from Bermuda to Connecticut, we had a small and closing Weather Window. Upon our departure from Bermuda, we would face stiff headwinds and seas on our nose from the North for about the first 12 hours. Nearing the Northeast coastline of Connecticut it was forecast that we would have winds in the 25 to 30 knots range out of the East although the wind angle would be good for sailing. The distance for this leg of our journey was around 650 miles and we anticipated it would take three and one-half days. That meant the weather forecast for the day of our departure would be accurate but less so further out. That left us with an element of uncertainty as the winds near Connecticut could be worse and for a longer period. That was the worst-case scenario. The next good Weather Window was one week out. Based on the ability of the boat and crew to sail comfortably in the worst case of 25-30 knot winds for a full day, we made a “Go / No Go” decision, took a chance and decided to go for it. We based that on the best information available to us at the time from several different weather sources. We had a strategy to sail or motor as fast as we could to minimize the exposure to bad weather near Connecticut should the weather on that end of the trip prove to be in the worst-case range. And, we would initially sail to the Northwest to avoid direct headwinds and seas, aiming for a good entry point in the Gulf Stream. Like a Weather Window, when Windows of Opportunities are identified management must sometimes make “Go / No-Go” decisions based on forecasts going out in time and base the decision on a well-reasoned strategy. Forecasts are never 100 percent reliable and the further forecasts extend out in time the less reliable they will be. Yet managers must make informed investment decisions and sometimes take calculated risks or growth will be stagnated. In such cases, we always do a sensitivity analysis of the best case, worst case, and most probable case. The worst case is usually the focus of management’s greatest attention. How long could a worst case last? Can we support the results under a worst case? What is the strategy to mitigate a worst-case scenario? Let’s say management is facing a decision about entering a new market that could represent a Window of Opportunity. Forecasting startup and ongoing costs and expenses are usually easier to estimate than forecasting sales, especially the further out the timeframe. What is the sales forecast for, say, two years out? What are the growth assumptions and are they reasonable? Could the company fund an expansion into a new market if it only realizes its worst-case sales forecast and would it be worth the investment? How long would that worst case continue before things turn better? What is the upside potential if it realizes its best-case sales forecast? Often management will budget for the most probable forecast scenario, which is not necessarily an average or a split between the worst and best-case scenarios. There is always an element of uncertainty but a management team that takes no risk will stifle a Company’s growth. What are some of the inputs on making such an informed Go / No-Go decision? A strategic plan is certainly one important input and that should include a SWOT analysis (Strengths, Weaknesses, Opportunities, and Threats). That should provide input in developing a pro forma P&L that forecasts Sales, Costs, and Expenses as well as initial startup costs. That should go out at least two years presented in a monthly format. The sales forecast assumptions should be listed so that an independent reviewer could determine reasonableness. A Cash Requirements Forecast given the various sensitivity analyses should also be prepared to determine if the Company has the cash resources to fund the expansion under a worst-case scenario. As we all know, nothing ever goes exactly as planned. During our sailing trip, the winds moderated as we approached the Connecticut coastline, so we made a good Go / No-Go decision. Let us know if we can help your company navigate its Windows of Opportunity towards a good Weather Window. When I’m in the ocean captaining our sailboat between the U.S. and the Caribbean, I am constantly monitoring our fuel level and burn rate. 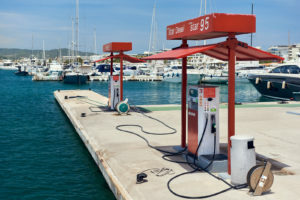 Yes, it’s a sailboat but fuel is needed for the generator to make the electric that powers our navigation equipment, refrigeration, radios and sat phones, the autopilot, lights, etc. We also motor when there isn’t enough wind to sail, although we can’t motor for more than around 800 miles; which isn’t enough to go from Bermuda to the Caribbean or vice versa. 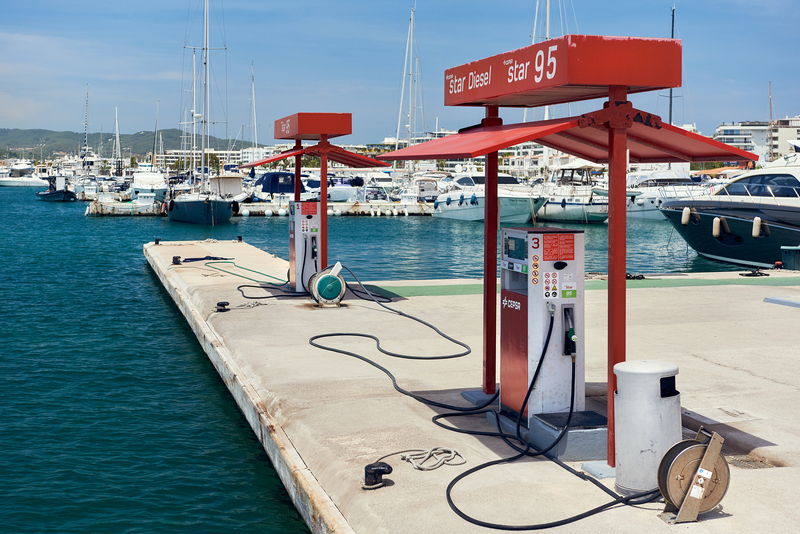 So, fuel is important even on a sailboat and there are no filling stations in the ocean. I’m constantly computing our fuel burn rate and the fuel remaining in the tank. To do that I’ve developed a fuel burn graph which shows me how many gallons per hour we burn at the various RPMs of our diesel engine. Armed with that I monitor the RPMs on the diesel engine when we’re motoring. From time to time I use a dipstick to check the level of the fuel in the tanks. Running out of fuel in the ocean is not an option and it’s something a prudent Captain is careful not to do. For any company, running out of cash is also not an option. When I am involved as a consultant in a Business Performance Improvement project, one issue I often contend with is cash flow deficits. Cash flow is the lifeblood of any company and cash flow deficits are the effect of an under-performing or troubled company. We have to gain an understanding of the cause but first we have to get spending under control. You can’t cut costs back to healthy any more than you can shut off the engine or generator on a sailboat and hope to simply get there (although on a sailboat you will eventually do that). You can, however, cut spending that doesn’t fully support a focused strategic plan which should be focused entirely on turning the company around. Doing prudent cost cutting enables an underperforming company to live another day and allocate scarce resources to get through the execution of that turnaround plan. So, in these consulting assignments I’m constantly monitoring the cash flow burn rate and cash availability to make payroll, pay vendors and lenders and execute the strategy. I usually prepare this Cash Requirements Forecast by week for at least three months and then monthly for the remainder of the fiscal year and one year after that. Beyond that forecasting sales is usually not a reliable exercise. But I”m monitoring the schedule on a weekly (sometimes daily) basis. That instills the spending disciplines necessary that is often missing. It also instills the disciplines needed to drive towards meeting other strategic goals, such as meeting new sales targets. Just like I monitor fuel in the ocean, I’m constantly monitoring a client’s burn rate and cash flows, trying to reduce cash flow deficits and allocating scarce cash resources to better support the strategic plan. The objective is to get the client to reach its next safe harbor with fuel in its tanks while also eliminating the need for investors to be kicking in on Capital Calls. If your company could use an outside look at cash flows to better focus its spending to support a focused strategic plan, give us a call. We’d be please to discuss how we could help. 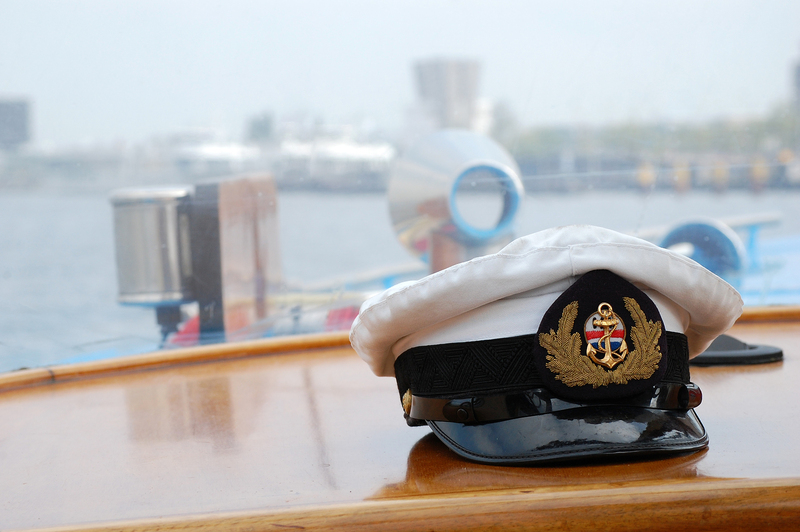 As I contemplate my next 1,500-mile ocean passage on our sailboat from the Caribbean to New York in May, I reflect on my role as a Captain providing leadership. That means doing difficult tasks to ensure the boat is prepared, making tough decisions on crew placement and training, keeping a watchful eye on weather conditions and staying put when other boats are leaving port, ensuring all safety procedures are followed while underway and providing clear and concise communications to explain why we’re changing course when needed. It also means showing a brave game face to calm fears when the going gets rough, getting crew input on major decisions and admitting my own mistakes so the crew can learn from me and know that I have learned something too. And, I’m happy to give credit to the crew for all we achieve in making these passages. While I won’t opine on my own leadership skills as a Captain, I am proud to have so many repeat crew that will go back in the ocean with me again and again. I attribute that to my genuine concern for their well being which is also a key attribute of a good management leader. Captains in industry are CEOs and department heads or team leaders. Their brave leadership is key to any Business Performance Improvement (BPI) or Turnaround Management effort. You can’t “improve” a company without introducing change. Change, no matter how small, requires brave leadership. People simply won’t change strategies, organizational behaviors, business processes or information technologies without brave leadership. The single most important leadership attribute is to have genuine concern for the team’s wellbeing and success. If team members feel your concern, know you will make tough decisions on their behalf, that you’ll solicit their input, communicate why change is necessary for their well being while admitting your own mistakes and giving them all the credit, they are highly likely to support your efforts for change. They will pull together as a team to support a leader they trust. So, the next time you’re managing a difficult BPI or Turnaround Management initiative, role play that you’re a Captain on a small sailboat in the ocean. You’re going to be at sea for, say, two weeks with your crew. You have some tough BPI or Turnaround Management decisions you have to make for the good of the whole company. Your life and the wellbeing of your crew may very well depend on their supporting your decisions. Bring them along and convince them of your concern for them, get their input on major decisions and support them each nautical mile along the way. Communicate course corrections, admit your mistakes and give team credit where due. You’ll be quite pleased on how much support you’ll receive in return for your brave leadership and how your initiatives for change will succeed. We’re available to help you with brave project leadership on BPI or Turnaround Management projects. We also facilitate customized one-day, on-site and entertaining Business Performance Improvement workshops to help management teams identify and prioritize new BPI initiatives. Feel free to call us to discuss how we could help you. Get Off Your Burning Platform!!! 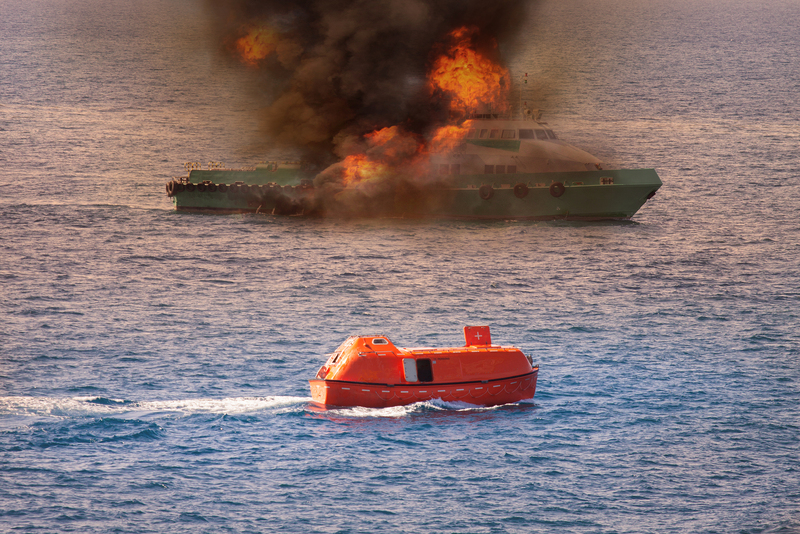 Say you’re on a small sailboat in the ocean and a fire breaks out; a sailor’s worst fear. There are no fire departments in the ocean. 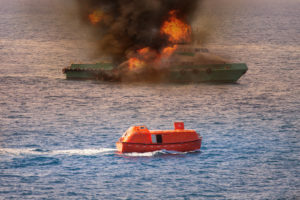 And if the fire gets out of control and you abandon ship, you’ll likely be in a perilously small life raft in rough seas and you may not be picked up for days or weeks, if at all. When bad things happen in the ocean, all sailors immediately plunge in and work together to fix things. Alone at sea, we know that ignoring bad situations comes at our peril. Business Performance Improvement (BPI) and Turnaround Management involves managing change in evolving and often bad situations. If you’re going to “improve” something, you have to change it from its current state (the As Is) to an improved state (the Will Be). In a troubled company, getting key decision-makers to recognize a crisis and support change is not always easy. Even the best business leaders get complacent, in a state of inertia, even when things are going really bad. Denial and hope are wonderful things but they don’t get the job done. The only way to get a BPI or Turnaround Management project off the ground is to demonstrate that the company is on a burning platform that is soon going to sink if action is not taken now. It is said that “costs are sticky on the way down” meaning that you often cannot get costs down quickly enough. There are always cost-reduction overhangs, like ongoing severance or rental payments. And, yet cost reductions are where you can most quickly put out the fire and right your ship. Say your cost structure only brings 10 percent of the sales down to the bottom line. It is usually easier to reduce costs by, say, $100,000 than to raise revenue by $1 million. Those cost reductions might involve making tough and emotional decisions, sometimes going against the status quo of friends and family in closely-held companies. Emotions, personal history and personal vested interests can cloud judgements and delay decisions precisely when critical time-sensitive decision-making is needed. Independent outside assistance is often required to get off a burning platform. We’re available to help you get off your burning platform. We also facilitate customized one-day, on-site and entertaining Business Performance Improvement workshops to help management teams identify and prioritize new BPI initiatives. Feel free to call us to discuss how we could help you. 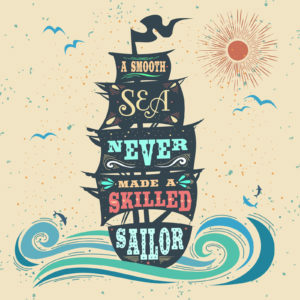 A smooth sea never made a skilled sailor!!! This month I completed my tenth ocean passage sailing from Long Island Sound to Antigua via Bermuda, a 1,600 mile open ocean passage. 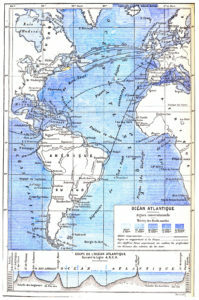 I began planning my voyage and preparing our sailboat “Tango” months ago. The first leg of the trip South involved crossing the Gulf Stream — which is like a river in the Atlantic Ocean flowing Northeast from Florida up the East Coast of the United States and then over to Europe. At some places it can run as much as five knots in a Northeast direction. Crossing the “Stream” can be a rough proposition if the wind is against the current. So, once planning was completed and I knew what this trip would entail, I then also knew the profile of the crew I’d need to recruit for this passage. Months prior to our departure and based on my planning I selected a great crew with significant Blue Water Sailing experience in difficult passages. We left Long Island Sound a few days after Tropical Storm Phillip had roared up the East coast in late October. By the time we were crossing the Stream, the wind had veered to the Northeast against the Stream — about 25 knots gusting as much as 30-35 knots. It was a rough crossing. 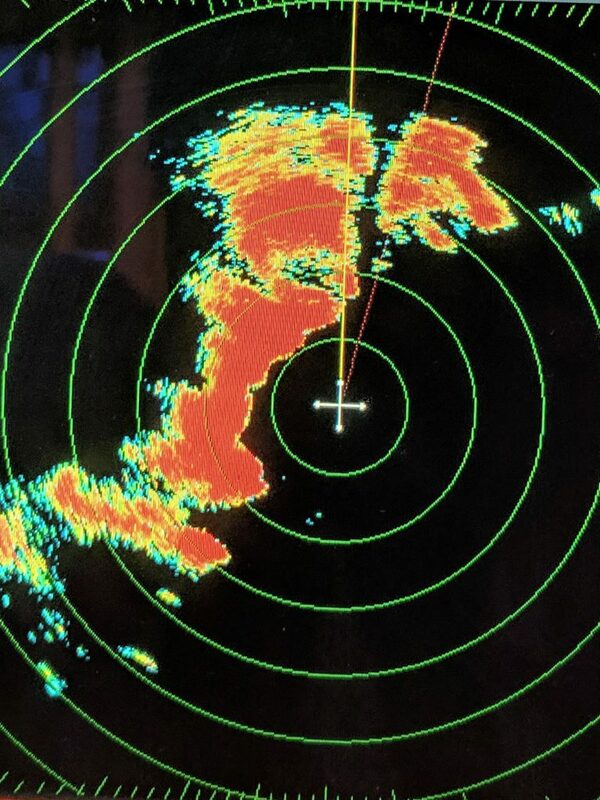 As Captain, I have many important tasks to do besides steering the boat like weather routing, communicating, navigating, etc. It made me especially glad I had a great crew to back me up in rough seas and that there was no need for me to be lashed to the wheel. I learned early in my career to always hire overqualified people. Get really great people under you, delegate and then undertake new Business Performance Improvement (BPI) initiatives. When hiring your own management team picture yourself Captaining a small sailboat in a rough ocean. Would your teammates be capable of running your day-to-day operations if you were offline undertaking a new BPI initiative? Would they be accretive or dilutive to you day-to-day operations in your absence? This is an especially important consideration when hiring, organizing and training your team. Are they overqualified? Have they been battle tested? 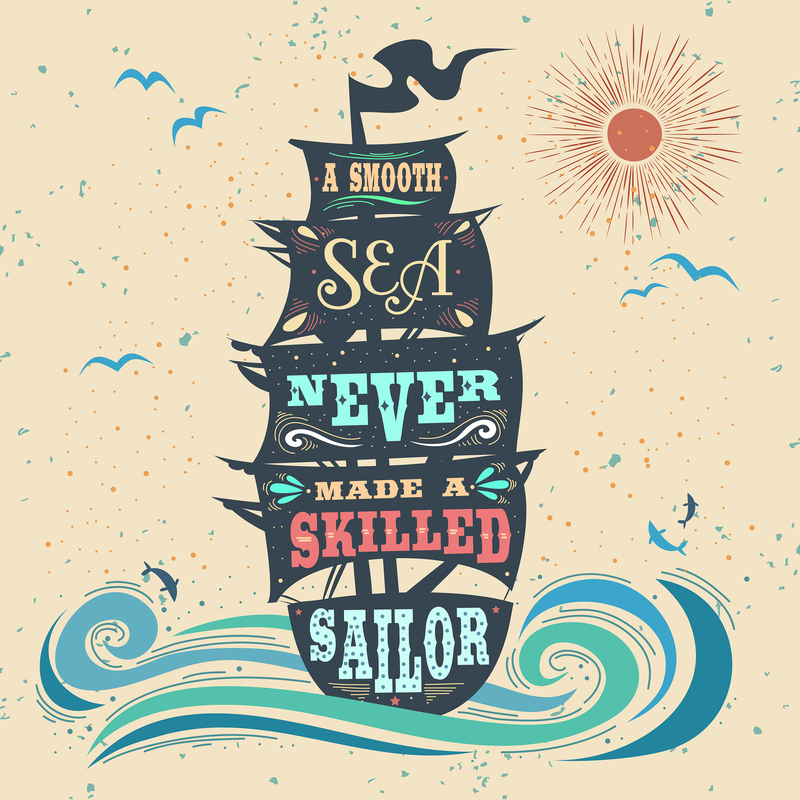 As the saying goes, “A smooth sea never made a skilled sailor”. Anyone can fill a role when things are going well. You should hire people that will help you get through rough seas so you’re not lashed to the wheel and prevented from undertaking new BPI initiatives. We’re available to help you evaluate your team and their organizational roles and responsibilities to keep you from being lashed to the wheel. We also facilitate customized one-day, on-site and entertaining Business Performance Improvement workshops to help management teams to identify and prioritize new BPI initiatives . Feel free to call us to discuss how we could help you. Imagine if I set sail from Long Island out into the North Atlantic and just “hoped” to get to any Caribbean island in two weeks without a Passage Plan. You only get one shot at doing it right out there. Domino’s doesn’t deliver in the North Atlantic and there are no mechanics in the ocean to fix a boat that wasn’t properly prepared. There are no do-overs when fighting gale-force winds on your nose. As the saying goes, failing to plan is planning to fail. And, hope is not a plan. Going into the open ocean without a Passage Plan is not setting a high bar on achieving a great result. Undertaking ongoing Variance Reporting to stay on track during the year. If done properly, establishing your 2018 Business Plan could be a game changer in identifying next year’s Business Performance Improvement Opportunities. Or, you could do more of the same and keep getting what you’re getting. Hope is not a plan. We’re available to facilitate customized one-day, on-site and entertaining Business Planning workshops to assist management teams to develop different elements of their business plans, e.g.,: Setting Objectives and Strategy; Operational Planning; Budgeting; Cash Requirements Forecasting; and Variance Reporting.